At Akridge Family Dental, we offer dental care with the highest quality care that is comfortable, convenient, and affordable. We offer general dentistry for all ages from regular cleanings to full mouth restoration. We are currently accepting new patients and welcome your phone call. Our friendly, caring team understands the benefits of a healthy smile and we are committed to your dental needs. We would love to put you, your family, and friends on the path to incredible dental health. 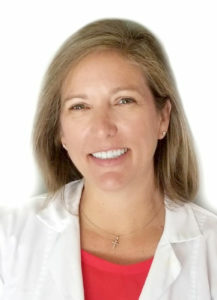 As your dentist, Dr. Alison Akridge brings years of passion for the dental industry with her. Dr Akridge graduated from the University of South Alabama and the University of Alabama School of Dentistry. She is a member of the American Dental Association, the Alabama Dental Association, and Mobile Area Dental Society. She is a Mobile native and member of St Luke’s Episcopal Church. Dr. Akridge has three children. When she is not practicing dentistry, she spends time with her family and loves to be outdoors. © 2019 Akridge Family Dental. All rights reserved.